Lizzy Sternberg, Jackson Chance Director snaps a selfie! 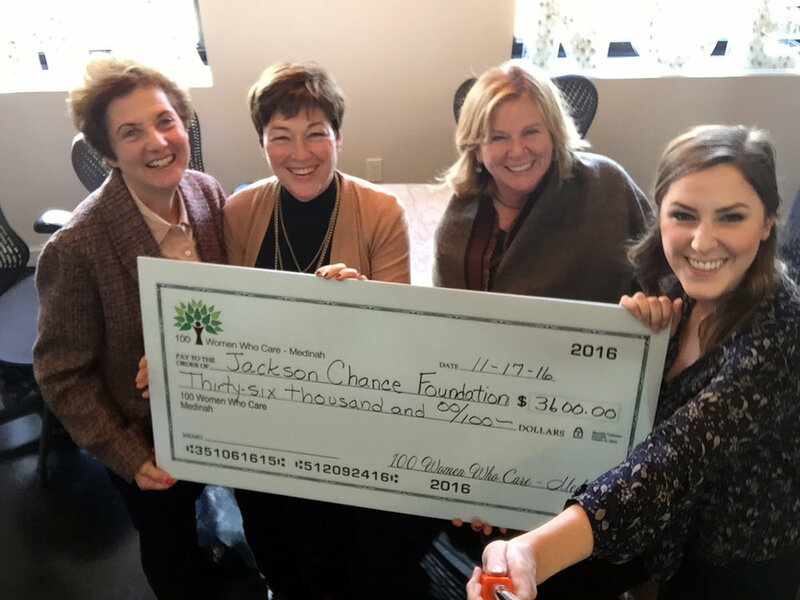 Our October meeting resulted in a collective vote for the Jackson Chance Foundation. Carrie Meghie and her husband Terry, founded the organization after losing their 10-month old son, Jackson Chance Meghie. The family spent 10 difficult months in the neonatal intensive care unit at Ann and Robert H. Lurie Children's Hospital in Chicago. They also spent thousands of dollars in transportation and parking. 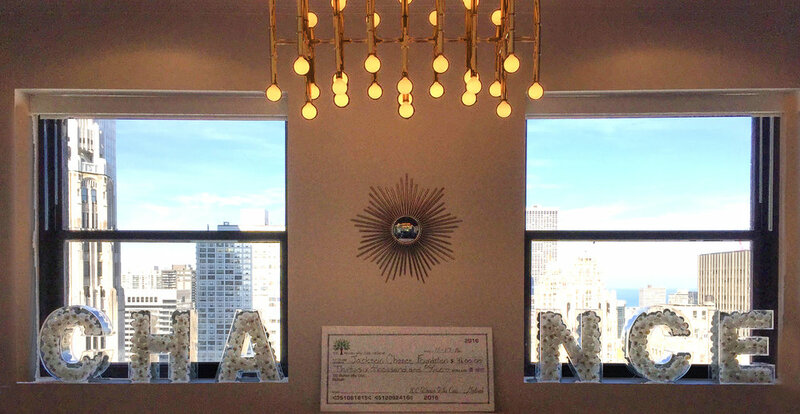 As a true gift to the babies at Lurie, they established this organization in their son's name. The foundation raises funds so that families have parking and transportation costs covered during their PICU baby's stay. In a CNN interview Carrie says, "We spent quite a while really talking and thinking about what would have the most impact. And it all came back to how happy Jackson was and why. It was because we were there. We just thought, 'How do we give that gift to other babies?' So we just decided that that was going to be our mission to make it so every baby could have somebody with them 24/7." Click HERE for more information on Jackson Chance Foundation.